Table rental will be $15.00 in advance and $20.00 at the door. Electric service is available for an additional $15 per socket. 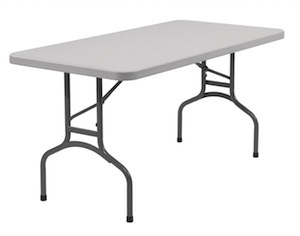 Table rental can be made online at the time tickets are purchased or by mail with a self addressed stamped envelope. Tables will be assigned this year at the time full payment is received. Assignments will be made on a first come, first served basis. Table reservations received in the mail will be taken in the order the postman hands them to us. If you want a table next to a buddy, please make your reservations together and note that these are together. If you have a request for a specific table or area, let us know and we will do our best to accommodate your request. Tables with electrical service are grouped together. All tables in a group must be either with or without electric service. Table size is either 2x6 or 2x8. The exhibition hall tables will be assigned first, beginning with the largest tables. Atrium tables will be assigned after the exhibition hall is filled. Club and other organization tables will be in the Gallery north of the exhibition hall. Tables are limited. Tables not claimed by opening time on Saturday will be resold at the door and the rental payment is forfeited to CORA. If you are going to arrive late on Saturday, you must include that information in your reservation to avoid losing your table and your rent. In order to avoid congestion and blocking of the door, CORA reserves the right, but has no duty, to create signup list at the show of those who arrive at or after setup times and them stand in line. Table set up will begin at 10:00 a.m. on Friday and 7:00 a.m. on Saturday. There will be no admission to the facility prior to these times. Vendors and table renters will be issued distinctive wrist bands at check-in and must wear these for admission prior to opening. Open flames, portable propane tanks, cooking grills, stoves and other potential hazards are not permitted. Loud music and/or announcements are not permitted.